Hi all! 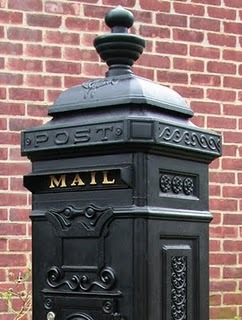 Well, Atlanta is finally thawing out from the deep freeze and I'm starting to get mail again...yippee!!! I received two for review and one used book ordered from Amazon. First up is one I've been lusting after for a while now, Pale Rose of England by Sandra Worth...a few minutes after it was delivered yesterday I tore it open and started reading. I'm about 1/3 of the way through and I have a feeling that this is going to be a big hit for Sandra...I just can't put it down! I am super excited that Sandra will be stopping by PTTP for an interview on February 1st, release day! This next one is one that I didn't know was coming, but I may have to find some time to check it out. Has anyone read it and can comment? 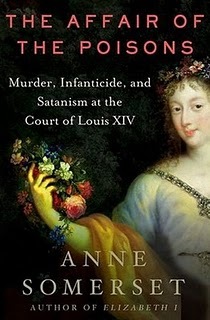 The Affair of the Poisons, as it became known, was an extraordinary episode that took place in France during the reign of Louis XIV. When poisoning and black magic became widespread, arrests followed. Suspects included those among the highest ranks of society. Many were tortured and numerous executions resulted. Well, that's my mailbox...I'd love to hear what showed up in yours!! I liked The Postmistress although I did find it a little bit different to what I was expecting. I got Pale Rose of York too! You have some wonderful looking reads here! Postmistress is one I hope to read soon! You got some great books in...hope you enjoy them! I have The Postmistress in my TBR pile, so will be interested to see what you think of it. As usual you have some gorgeous stuff here! Enjoy. Pale Rose of England sounds wonderful, I hope you're enjoying it. I read The Posmistress a few months ago and really liked it. It is historical fiction but probably lighter historical fiction than much of what you read. But it's a very interesting story with some great characters. I read and reviewed The Postmistress last year and really loved it. I'm a sucker for European historical fiction. 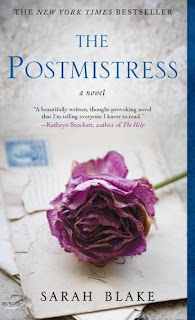 I have not read The Postmistress, but my mom did and thought it was really good. 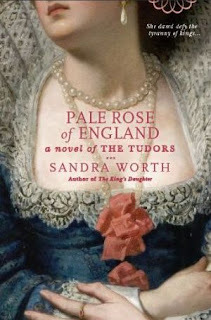 Pale Rose of England sounds wonderful; will look for your review! Again, 3 more books for my wish list. I am intrigued by THE AFFAIR OOF THE POISONS. Sounds like it is a most interesting investigation. This past week I received THE DARLING STRUMPET by Gillian Bagwell from Yankee Romance Reviewers and OUTLANDER by Diana Gabaldon from Seductive Musing. Two great books I can't wait to read.